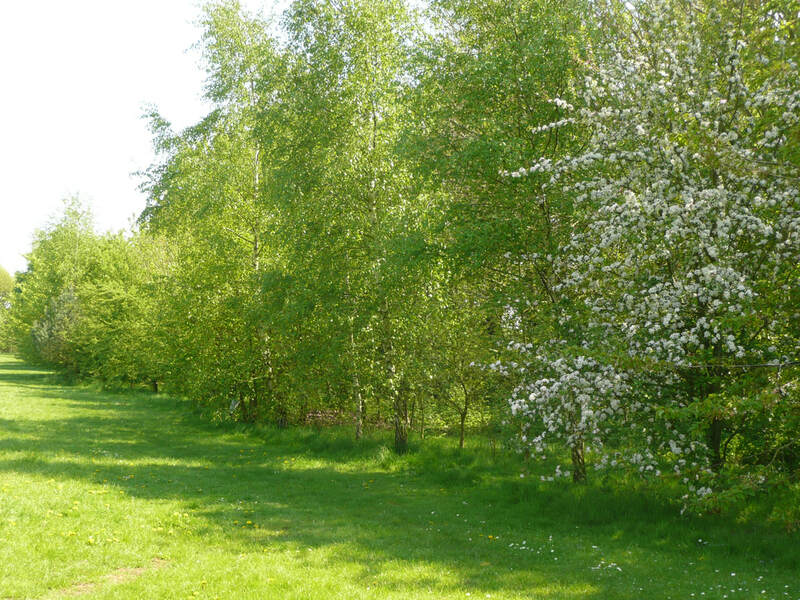 In October 2007, agreement was reached between NWT and Chris Hitchens, the Estates Manager at Lincolnshire Police HQ, to plant over 400 trees and flowering shrubs on two sides of the Nettleham Police HQ fields. 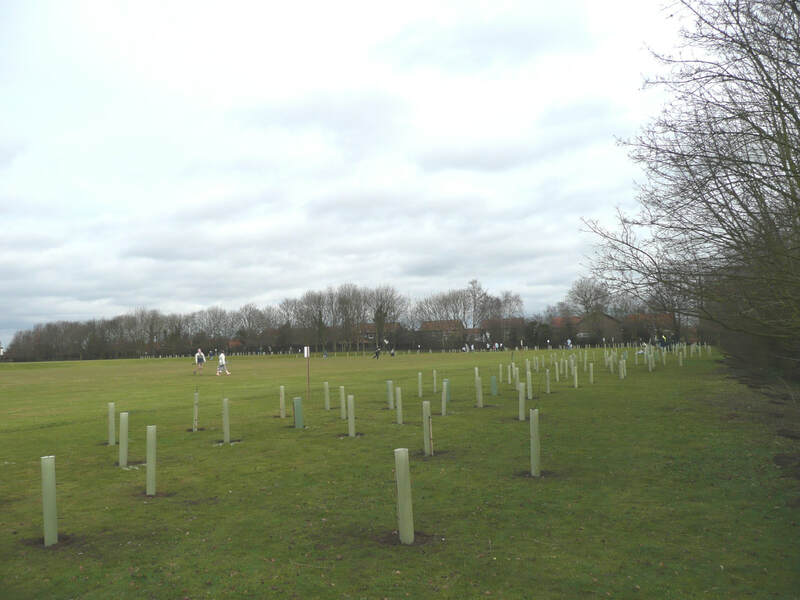 Half of the cost of the trees and shrubs, with stakes and guards, was paid for by Lincolnshire County Council. A further £200 was donated by Lincolnshire Co-operative Ltd. and the remaining cost by a private donation. Hot soup and drinks, donated by Waitrose, were provided by Nettleham Scout Group. The tree planting took place on Saturday 23rd February 2008 and NWT invited villagers, particularly children with their parents, to bring a spade and come and plant a tree. The event was a huge community success – nearly 300 children and adults came and all the trees were planted in 3½ hours. The trees planted were oak, ash, silver birch, wild cherry, crab apple, alder, Scots pine and holly. All the shrubs were native species such as hazel, dog rose, hawthorn, vibernum, etc. NWT Trustee and cub leader Mark Lawrence asked his cubs to suggest a name for the new wood and Matthew Randles, later a scout, came up with the name “PC WOOD”. 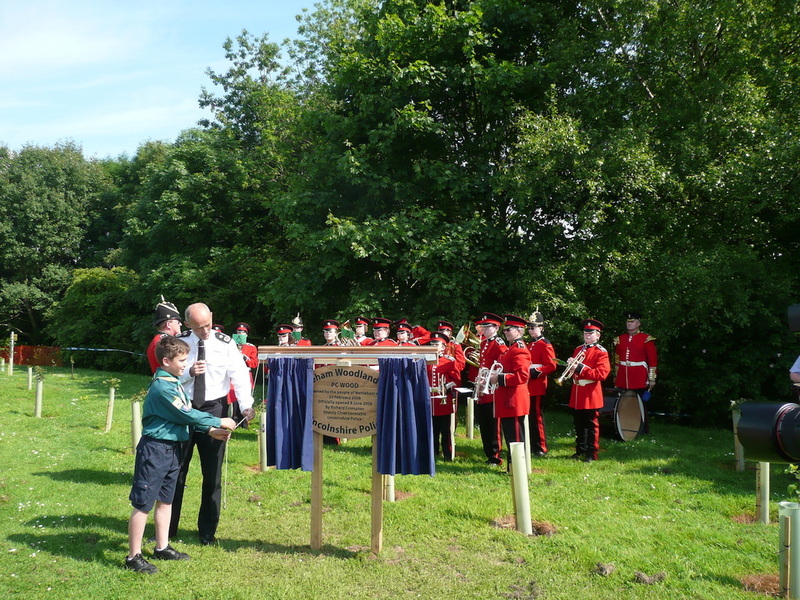 Chris Hitchens was delighted with the name and on 8th June 2008, at the Lincolnshire Police Open Day, “PC Wood” was dedicated by the then Deputy Chief Constable Richard Crompton and a plaque, provided by Lincolnshire Police, was unveiled. NWT was also given permission to plant wildflowers and more shrubs in other parts of the Police HQ and a number of planting events took place with Nettleham Infants and Junior Schools and Nettleham cubs/scouts during the autumn of 2008. 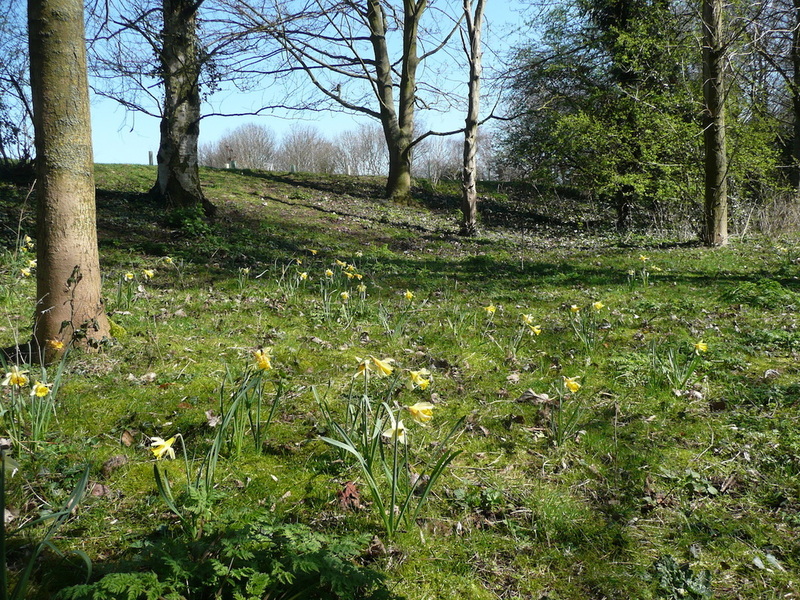 ​An application for a grant from The Lottery’s “Breathing Spaces” was successful, and WRN was awarded over £3000 to purchase the wildflowers, trees, shrubs and equipment for this and future events. Chris Hitchens had agreed that the area on the west side of the lake could be used by villagers as an amenity area. In 2010, after an appeal in Nettleham News, Threshold Church in Nettleham raised money from coffee mornings to purchase a round picnic table which was sited close to the shrubs and wildflowers planted by villagers on the Police HQ land. Over time, “PC Wood” and The Scotches footpath through the Police HQ have become lovely places to walk and picnic, especially in the spring, when the wildflowers come out. Look out for the spring flowering fritillaries with their unusual dark red/purple checked pattern. ​In 2009, NWT planted a small leaved lime tree in “PC Wood” for Chris Hitchens on his retirement to thank him for allowing and supporting these exciting community projects.